Simple calibration: Zero/Span calibration (at 0 angle) and tilt calibration to generate the four tilt parameters that are used to correct the reading. Accessories: The K491 Tilt Compensating Indicator requires a tilt module and tilt sensor. Custom printing: dockets can be customised for the application. The built in RS232/RS485 port can be configured for printing.The K491 Tilt Compensating Indicator is a general purpose indicator that uses an accessory module to connect to a 2 axis tilt sensor that provides tilt compensation. R400 Series K491 firmware is approved for trade use in Australia. S362 includes Variant 4. 3. 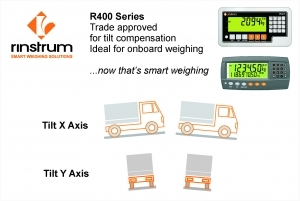 Tilt Calibration – this generates four tilt parameters that are used to correct the reading. The following files are available for download for the K491 Tilt Compensating Indicator. Ensure you select the correct documentation for your unit’s software version. Check back regularly for software and other updates.